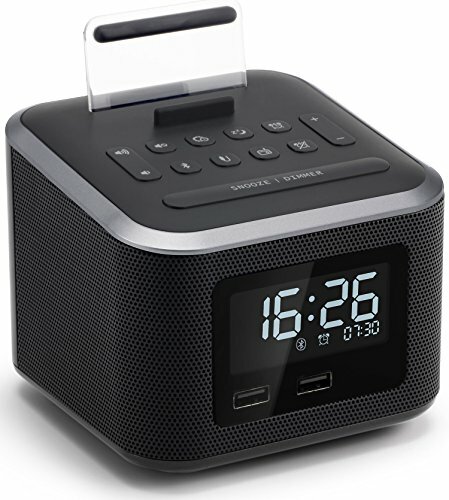 Dimensions: 15.5L x 2.25W x 15.5H in. 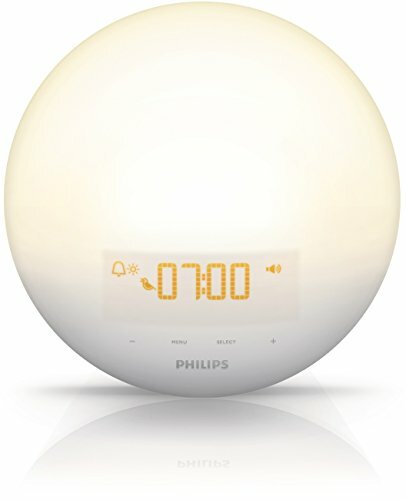 VOICE CONTROL FUNCTION: Power-saving mode. 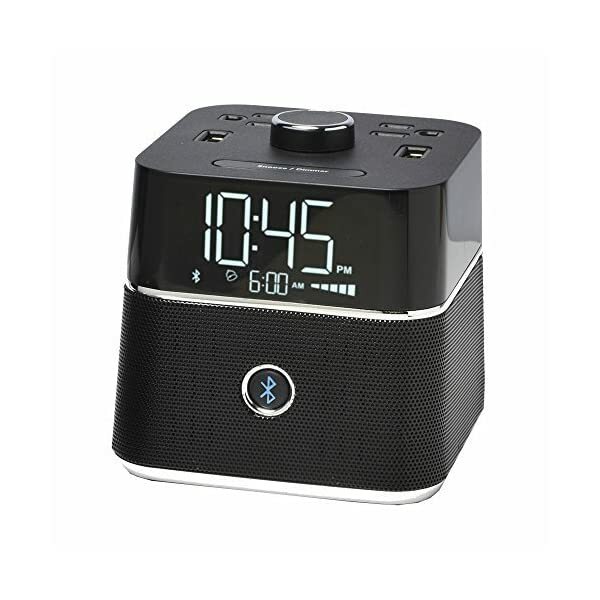 Press the Down button and choose "oN:Sd" for Sound control mode (Power-saving mode), the screen will turn off after 10 seconds. 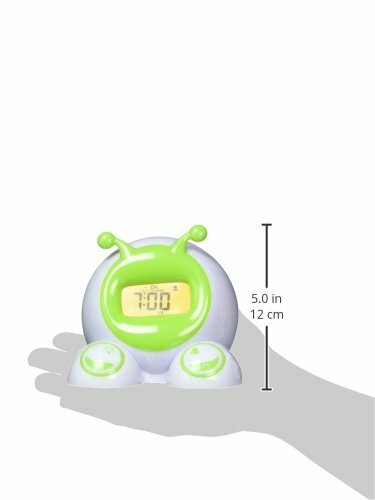 You can light up the screen by clapping your hands (any sounds louder than 60dbm) or by tapping the clock. 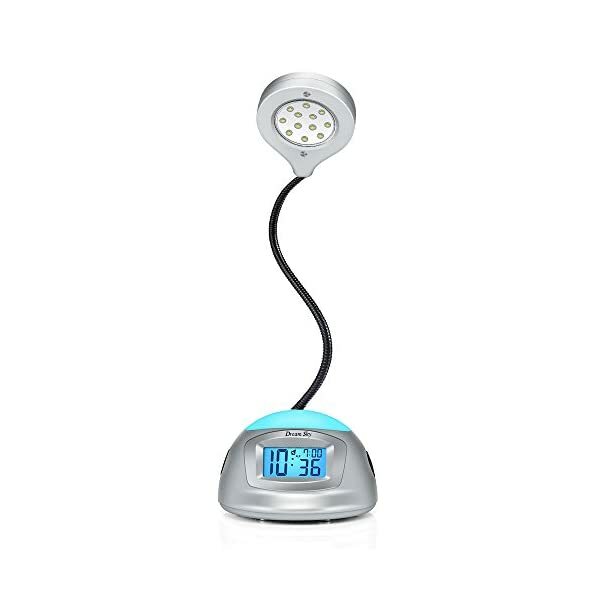 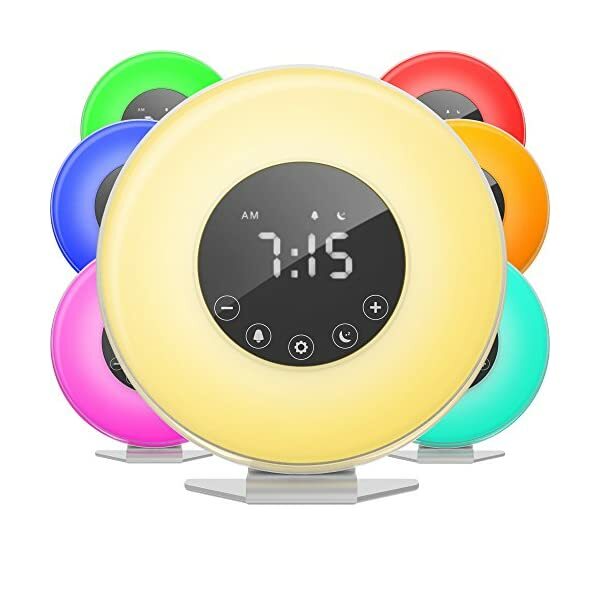 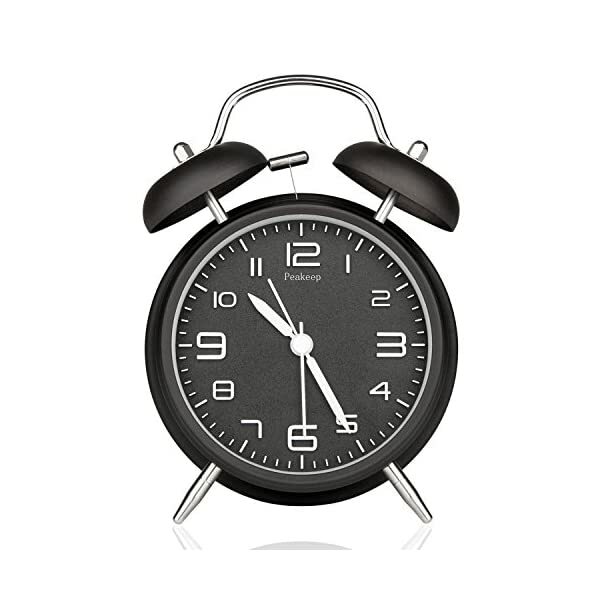 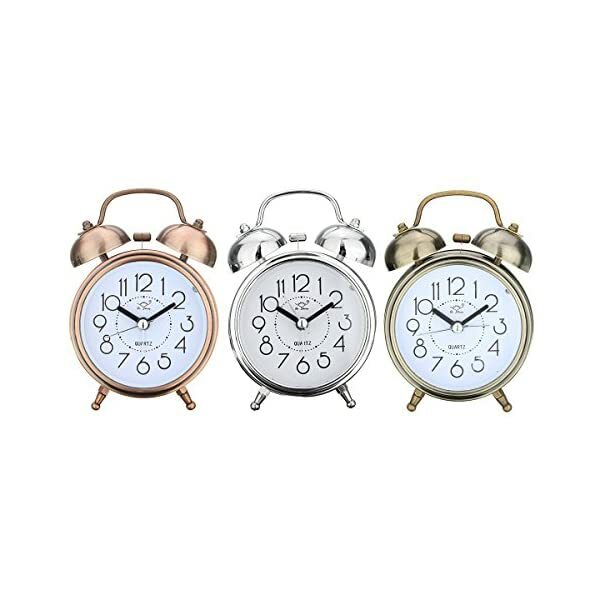 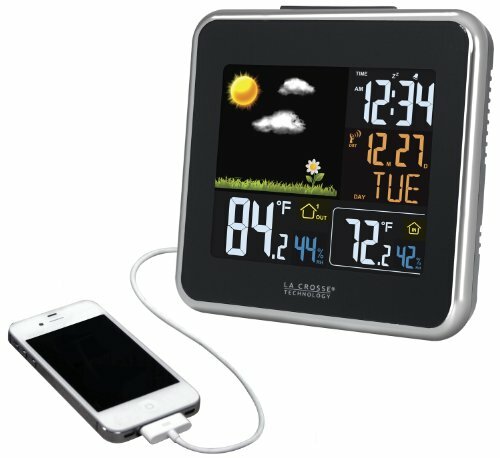 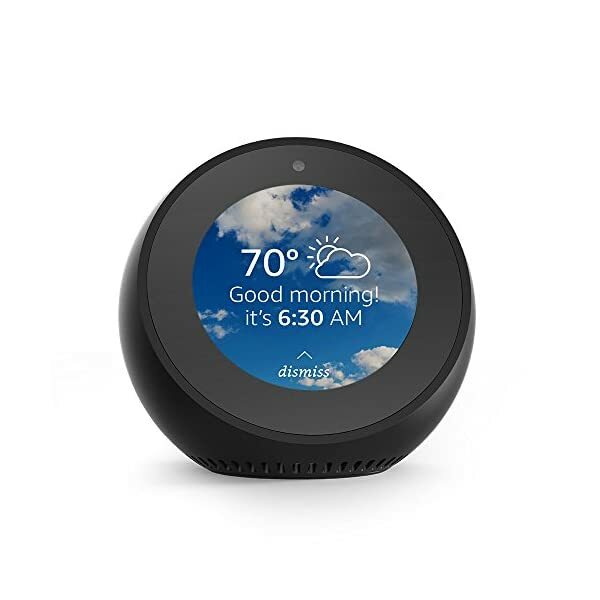 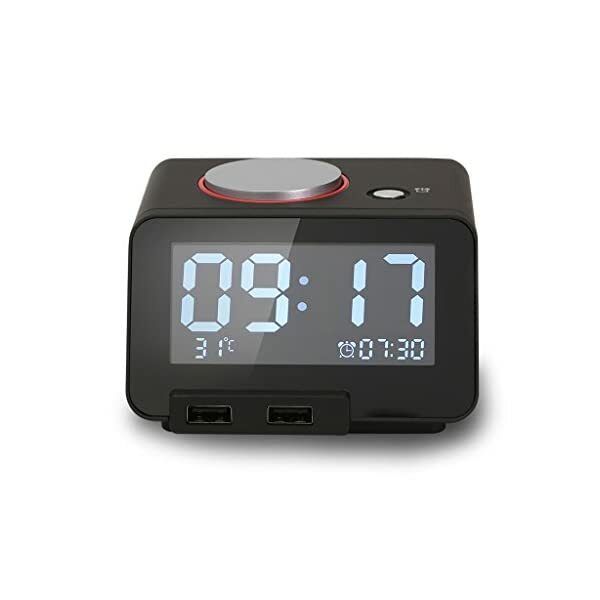 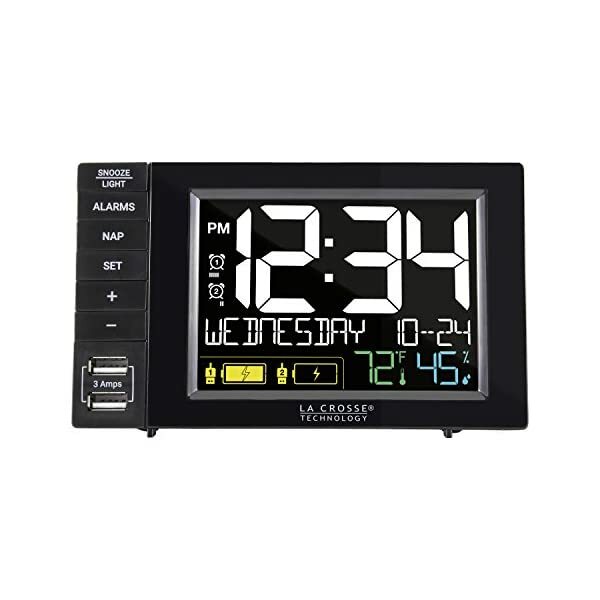 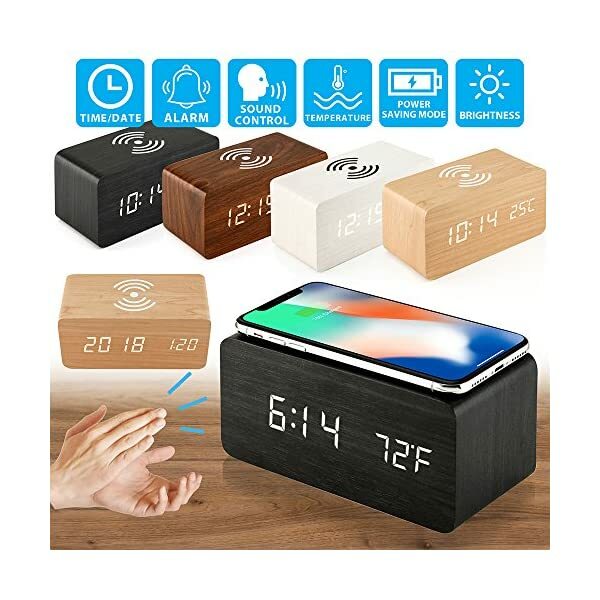 DIGITAL ALRAM CLOCK: A multi-function digital alarm clock that displays time, date, temperature with bright and clear LED lights. 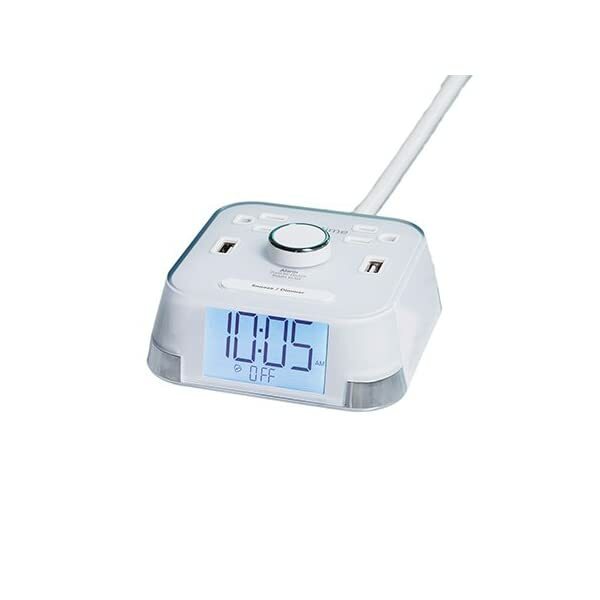 Displays time in both 12h/24h format, and shows indoor temperature in both Celsius and Fahrenheit. 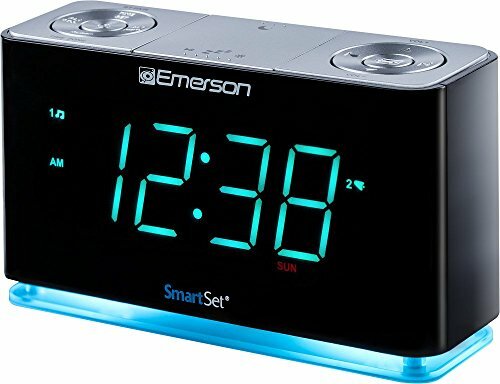 Up to 3 alarms in a few-minute intervals to replace the snooze function, select different alarm types between daily alarm and weekday alarm, each alarm rings for 1 minute. 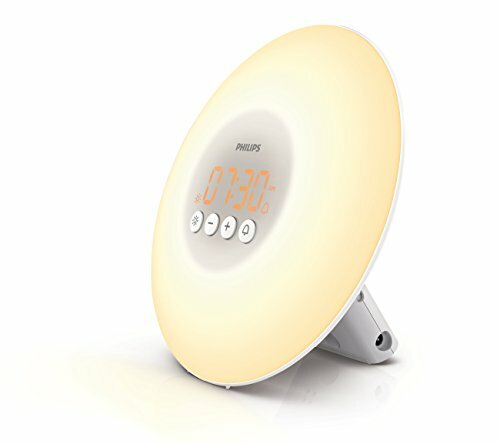 QI WIRELESS CHARGING: Simply place your Qi Wireless Charging Compatiable phone on top of the clocks and it'd start charging automatically. 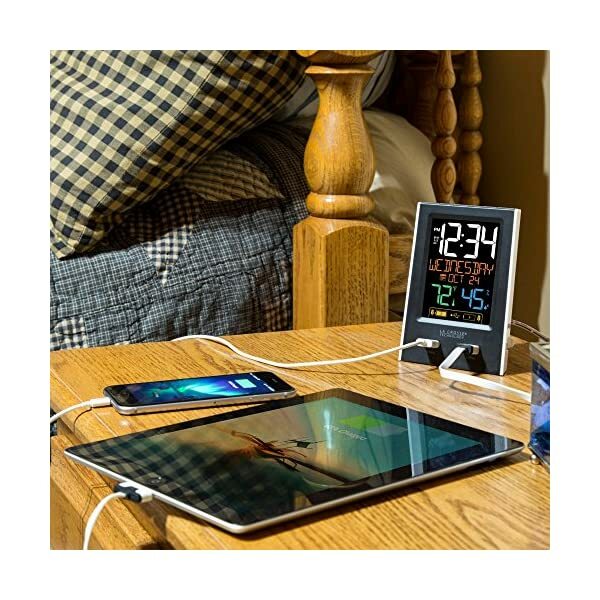 Charging occurs only when powered by USB cable, not chargeable when powered by batteries. 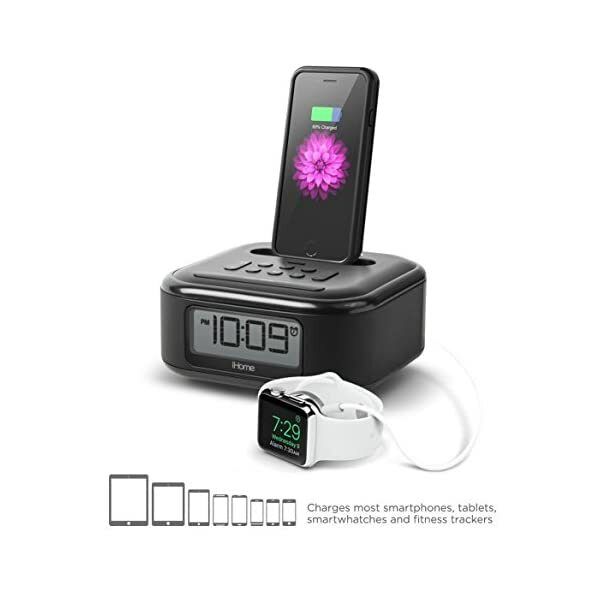 Please note phones with a support ring on the back will not be fully charged, please remove support ring for charging. 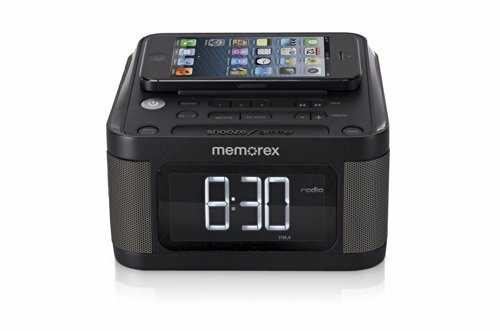 Please position phone in the middle vertically with back facing down, or charging might fail.